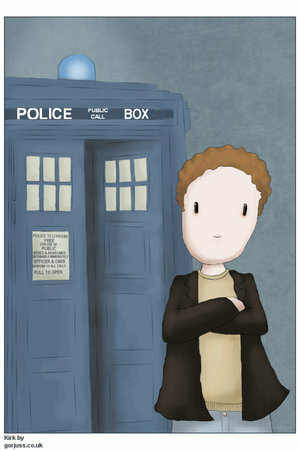 Kirk Stacey of Bristol England can trace his relationship with Doctor Who to the second episode of "Awakening". 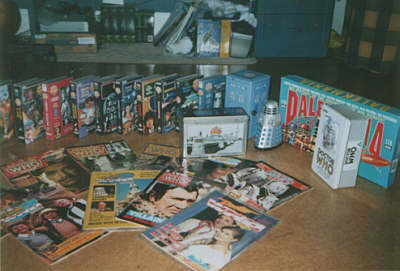 Now hooked on the series he has been collecting fan made and commercial merchandise items on and off for the last 15 years. Working as a freelance artist that must occasionally visit Clifton, Kirk has crossed paths with the Eight Doctor on many occasions. 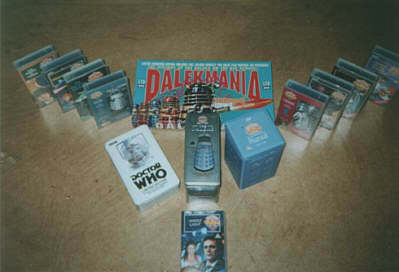 Kirk is justifiably proud of his custom made Tardis Wardrobe and his BT Dalek poster. Kirk does caricature and standee commission work. 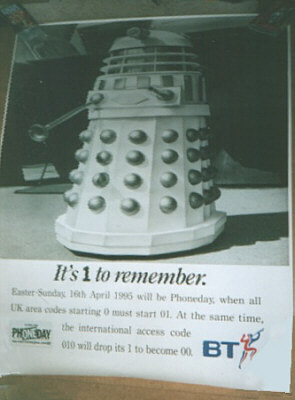 This 2002 movie version was produced alongside the 3 foot Daleks. 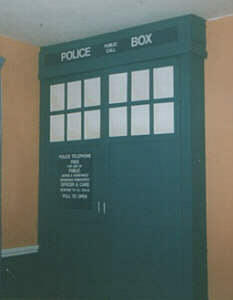 Tardis wardrobe built in 1990. All of the pictures on this page are the property of Kirk Stacey and may not be used or reproduced in any way without his explicit written consent.